Many students have problems with the prepositions AT, IN, ON. Prepositions are such small words with nearly the same meaning that it seems that you can use any of them. But that is not true. If you want to sound well, you have to be careful with the prepositions. And believe me, it is not so difficult to use the prepositions AT, IN, ON for time expressions correctly. There are many clear rules and only a few exceptions. Go through the mind map. Start at 1 o’clock and then go clockwise. There are the rules of usage for the prepositions AT, IN, ON. At the end of the mind map you will see that if you use the words NEXT, LAST, EVERY or THIS, there is no preposition in front of these words. (You cannot say “ON NEXT FRIDAY”). If you want to really learn the prepositions correctly, you should practise them as often as and as much possible. Here there are three games to make your training more enjoyable. In the games there are 48 different phrases with the prepositions AT, IN, ON. If you finish all the games I am confident that you will know the usage of these prepositions fairly well. The first game is called Teacher invaders. You should shoot all the Invaders and after some time you have to fill in the correct preposition in the sentences. Good luck. Prepositions AT IN ON – Teacher invaders game. The second game, HOOP SHOOT, is slightly easier as you have to pick the correct option and then stop the sliders in the center of the basket. Prepositions AT IN ON – Hoop shoot game. The third game is a more of a traditional quiz. Read the text and complete it with the prepositions AT IN ON. If you get more than 70% of your answers correct you will get to play the game called Indiara. Good luck! Prepositions AT IN ON – Cloze test. Sir I got the link of your web on facebook. I went through it and found it amazing.I too post grammar and it uses at my blog especially for Maharashtrian students. Hi,I’m from Chile !!! Just one Question????? I cann’t acced to the games. You need to have Flash installed for the first two games. The last game, though, should work on any device. Sir, i knew this link from facebook. thanks for writing very very usefull blog like this. You are the way of explaining materials is easy to catch it. learning english is more enjoyable. 🙂 Keep writing and share your knowledge. im sure many english learners are waiting. I love this website. It is so easy to use and the mind maps are great. You help everybody who is eager to learn English.. I have some problem in Prepositio.But i think it will be very helpful to me.Thanks a lot. 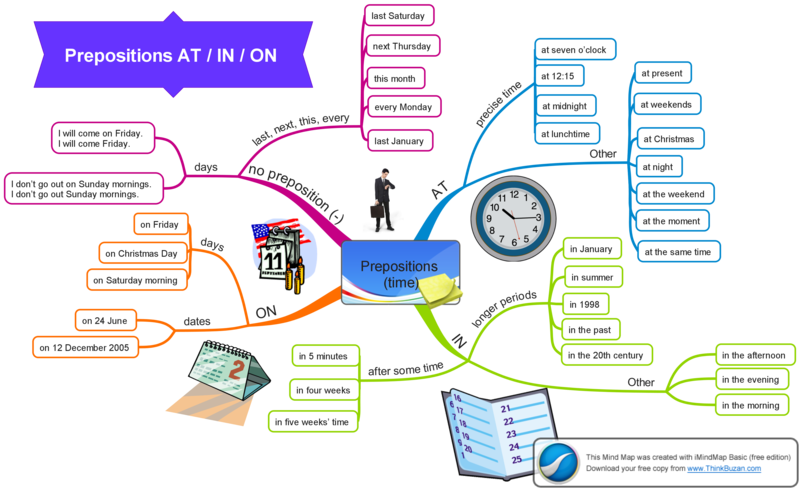 I also love this website too much it’s very useful for me to improved my English and Understanding more with mind map. Try and use it if it helps you. However, mind maps are not for everyone. Some students find them useless.